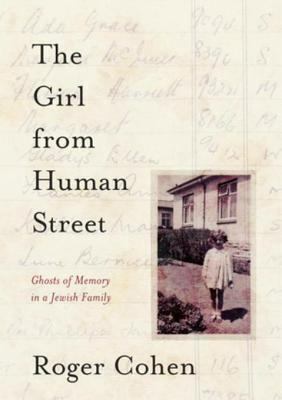 In the case of The Girl from Human Street: Ghosts of Memory in a Jewish Family by Roger Cohen, the subtitle is a better indicator of its subject than the title. Cohen's book is not focused on one person who came from a particular place, that being a neighborhood in Johannesburg, South Africa. 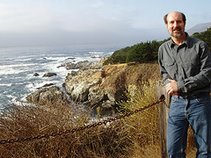 Instead, the book is a sweeping family history, recounting the lives of the author's ancestors and their descendants in Lithuania, South Africa, England, the United States, and Israel. In one sense the book is a where-I-came-from memoir, but it is much more. Through telling about his family, Cohen recounts the global story of Jewish people from the late 19th century to the present. Having now finished, it is hard to remember the point at which Cohen starts his story, for he goes back and forth in time and from place to place frequently. The reader has to stay alert to track the various members of his mother's and father's families as they migrate to new lands that promise greater freedoms and a chance of fortune. The true starting point of the family was the Lithuanian shtetls of Zagare and Siauliai. Many of those who stayed there survived pogroms only to exterminated by the Nazis in World War II. Many of those who move suffer new injustices and mental illness in new lands. In its lyrical telling, The Girl from Human Street reminds me of The Hare with Amber Eyes by Edmund de Waal. Both stories evoke both pride and regret for the past actions of families. Both will help readers get beyond textbook histories of the modern world. Cohen, Roger. The Girl from Human Street: Ghosts of Memory in a Jewish Family. Alfred A. Knopf, 2015. 304p. 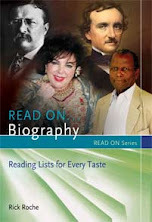 ISBN 9780307594662.